No tricks! 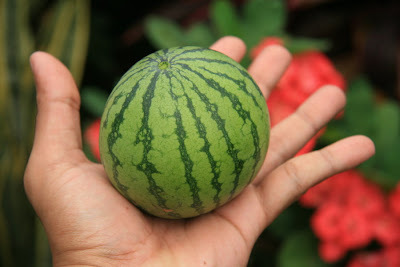 this is a real water melon. 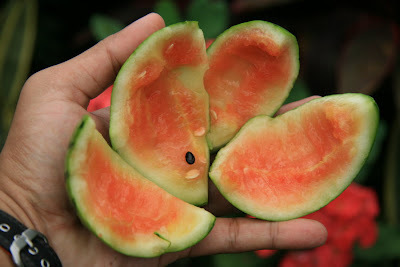 It may be small, but when I sliced it, its was red and ripe! 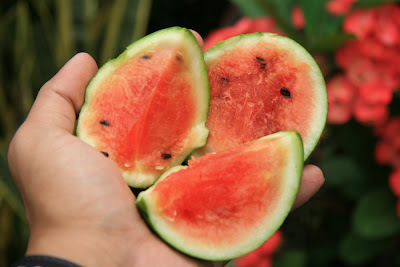 We ate rejects of that yesterday....super sweet.